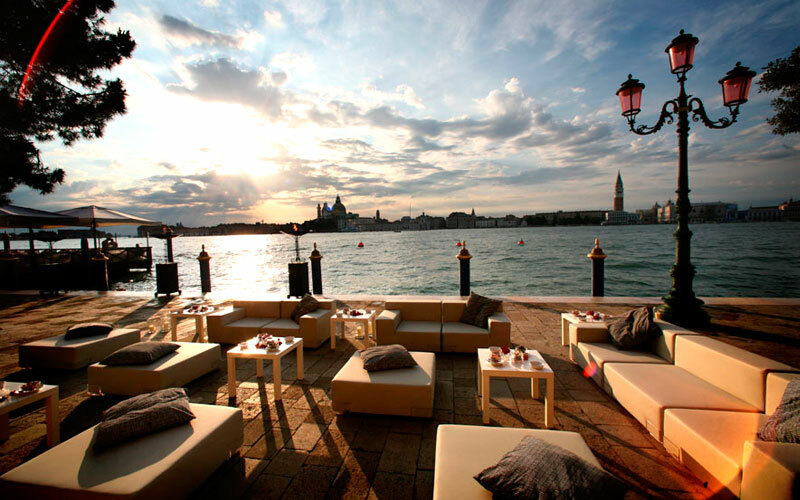 Venice is a charming town, the most romantic place in the world. 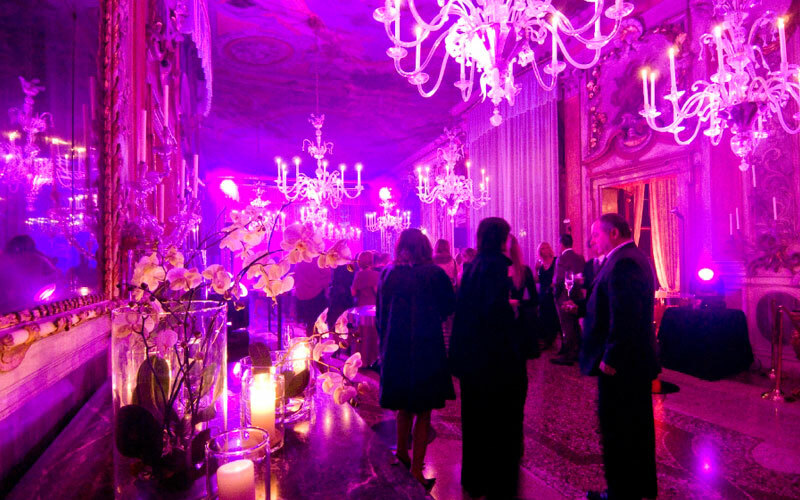 In every corner you can feel the touch of a timeless atmosphere. 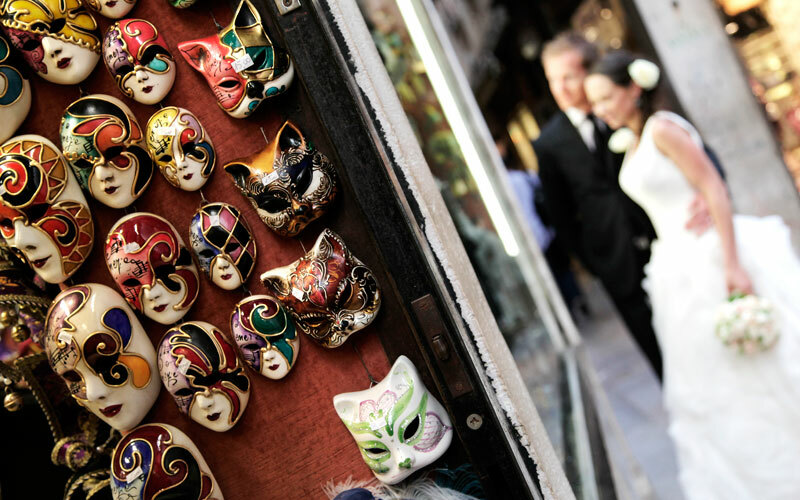 Every canal, every little alley, every square is the focus of hidden surprises and emotions. 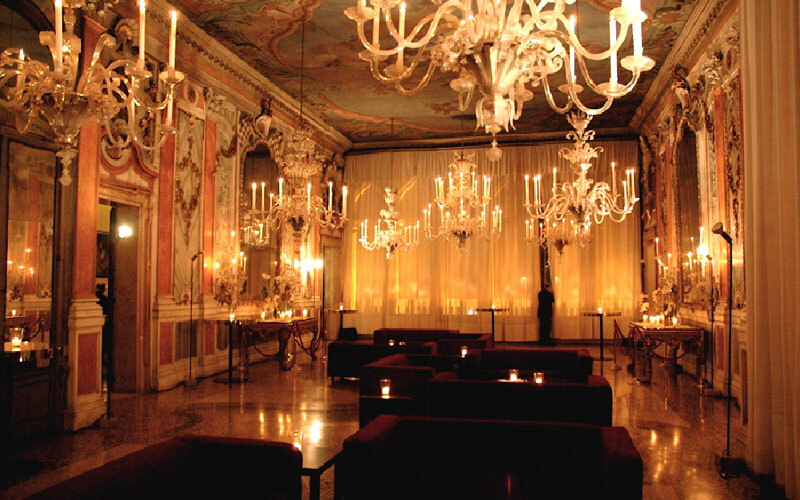 This is the place where time has stopped at the 18th century, when Venice entertainment flair reached its peak. 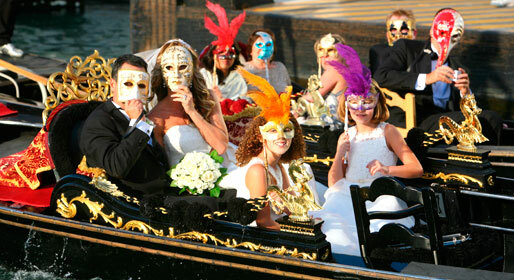 In fact the famous Venetian Carnival began in that period. 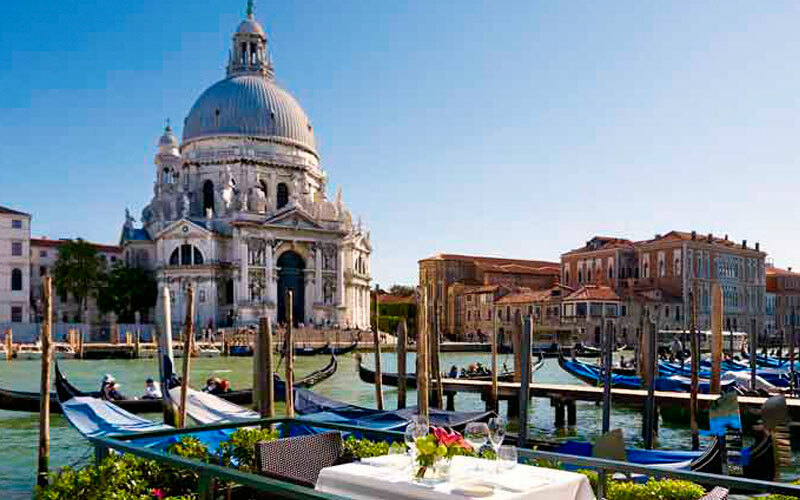 Gondolas and the gondola-men with their typical Italian songs fill the air of the Canals and make the simple thing of just being there an unforgettable experience. 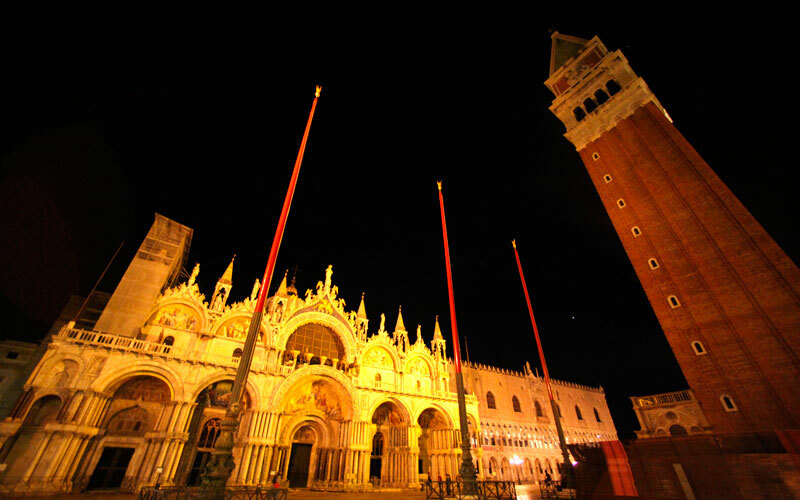 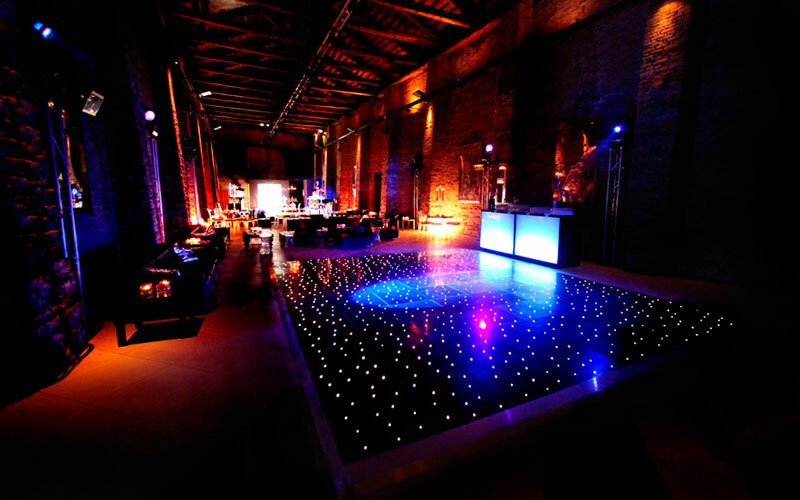 Romance and entertainment are Venice main features: the Baroque era gave birth to the desire for entertainment and Venice became, since then, the perfect place to party. 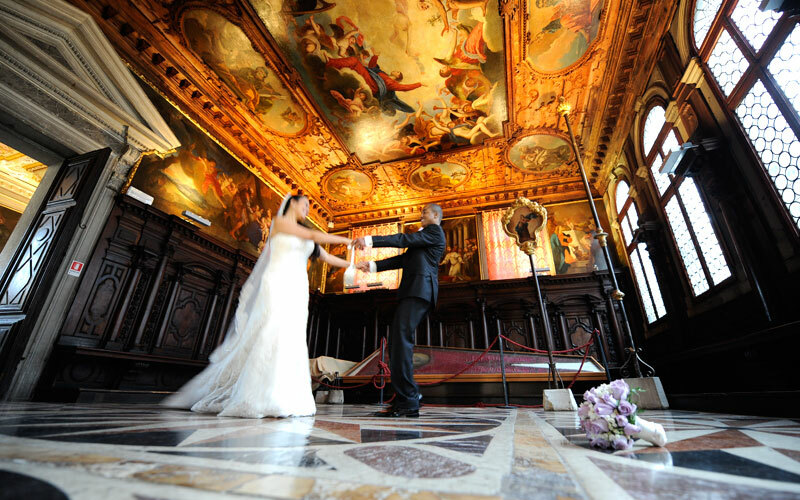 Getting married in Venice is still nowadays a unique experience, where the 18th century dream meets the luxury of the palaces and the joy of the Venetian party. 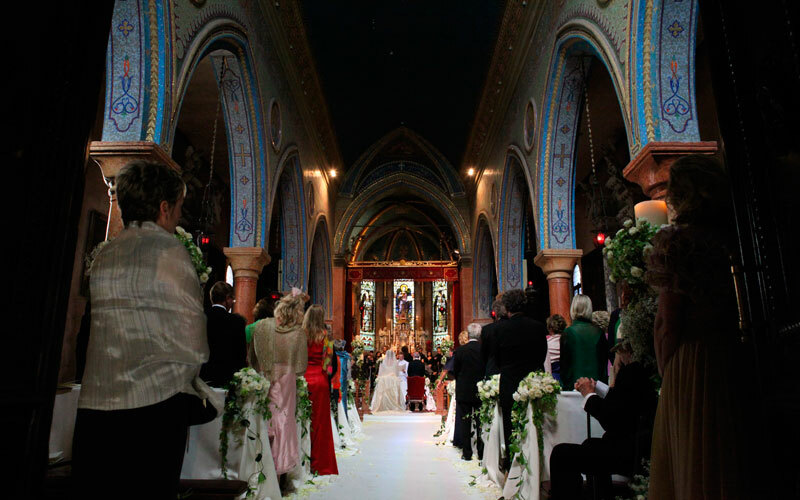 For information where we arrange ceremonies and receptions, please fill in our form. 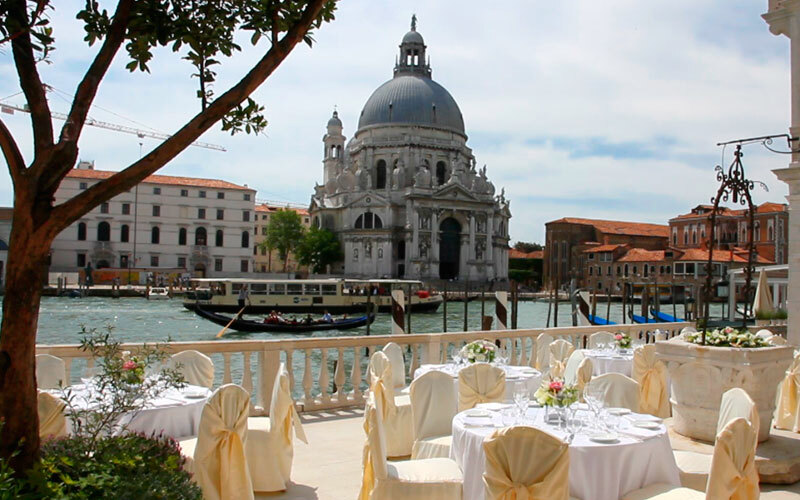 Venice is also the perfect setting for the ceremony: the Grand Canal, beautifully decorated and frescoed palaces, gorgeous church domes like the one in Chiesa della Salute offer the wedding couple a once-in-a-lifetime experience. 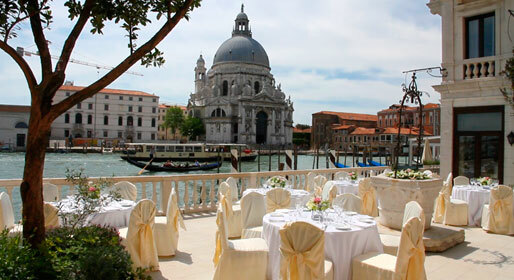 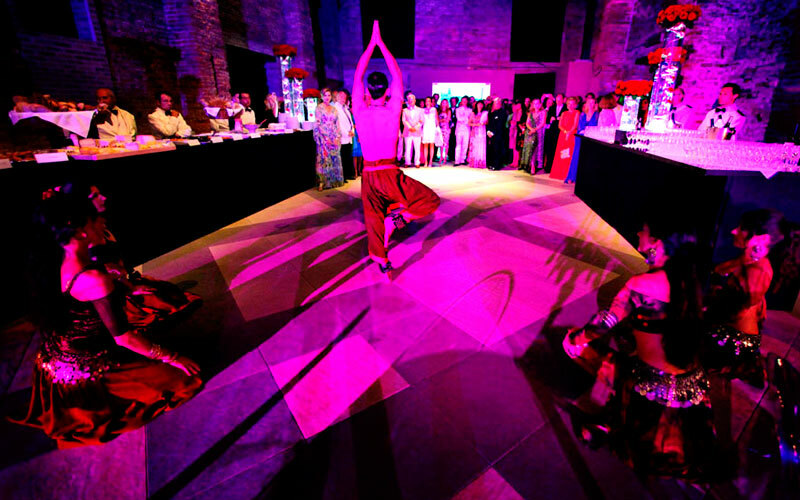 In Venice you can have a wedding with breathtaking water view, being at the same time immersed in culture and arts. 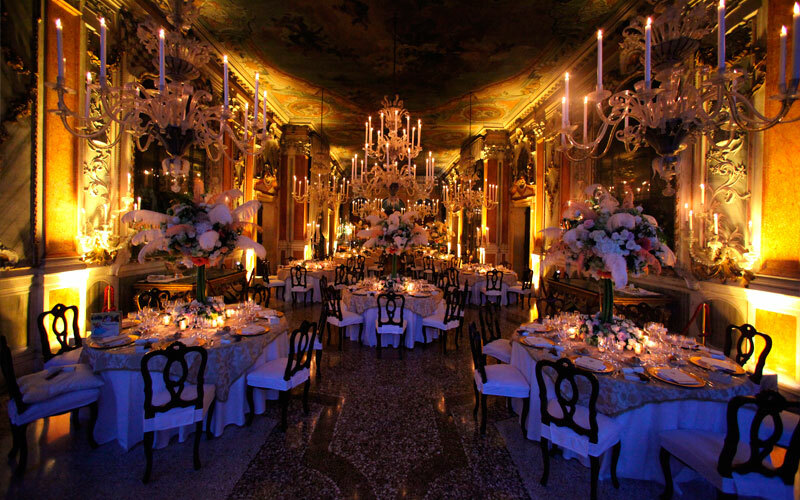 Hotel and palace ballrooms are incredibly charming places, that often thanks to their in-house decor -such as magnificent Murano chandeliers and paintings by Tiepolo and Tintoretto- don't even need additional decor. 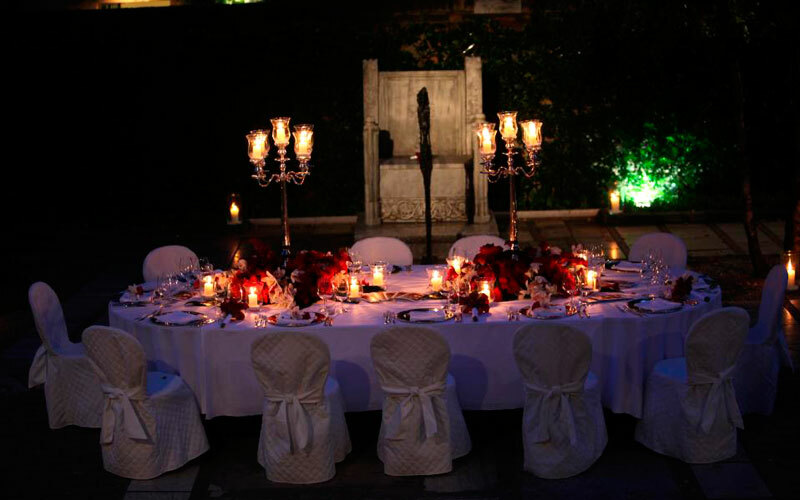 Weddings Italy by Regency offers the unique possibility to organize a wedding with civil validity in a private location in Venice: one ceremony, legally recognized by the law in Italy and in your country. 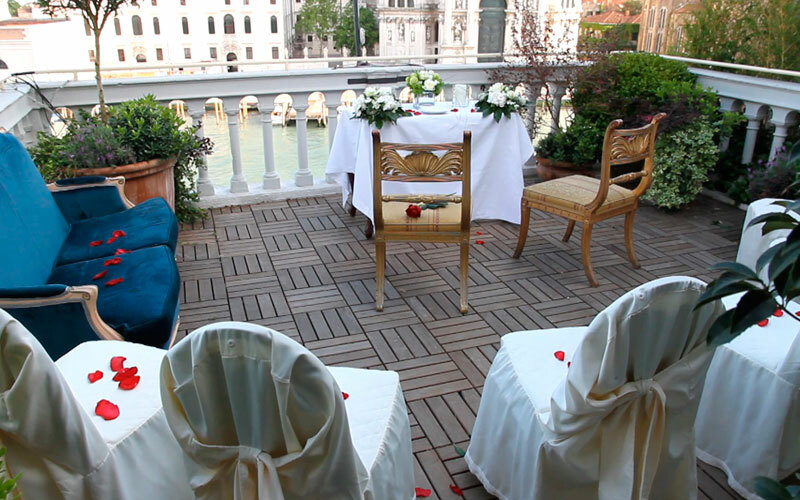 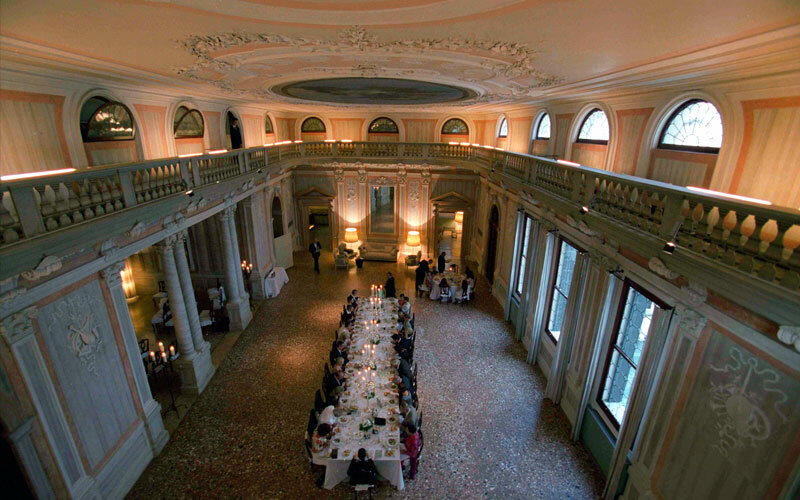 The legal ceremony can take place on a terrace with canal view, in a hotel garden with laguna view, or in the lush hall of an ancient palace. 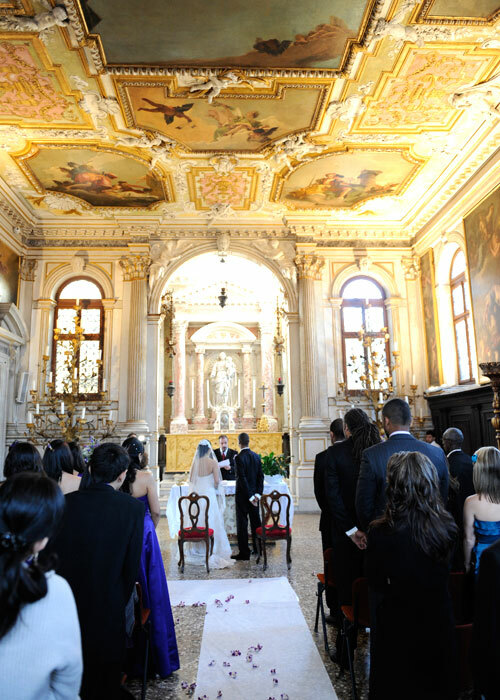 Weddings Italy by Regency also arranges Catholic, Protestant, Jewish weddings in historical churches or intimate chapels. 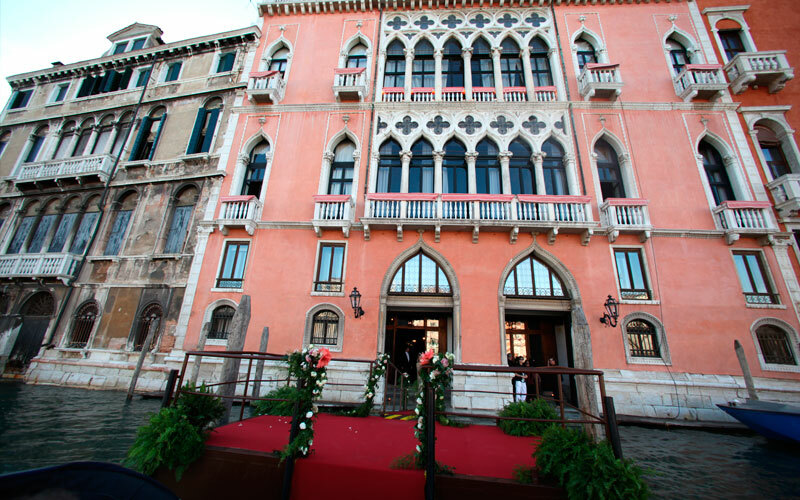 We have selected the most fascinating and romantic wedding venues in Venice for you.